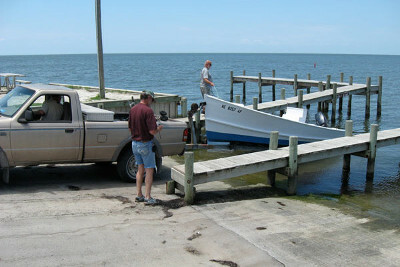 The National Park Service maintains a public boat ramp at the parking lot near the south ferry terminal. There is no charge for ramp use and personal watercraft are prohibited. See the NPS FAQ page for more information on ramp usage.